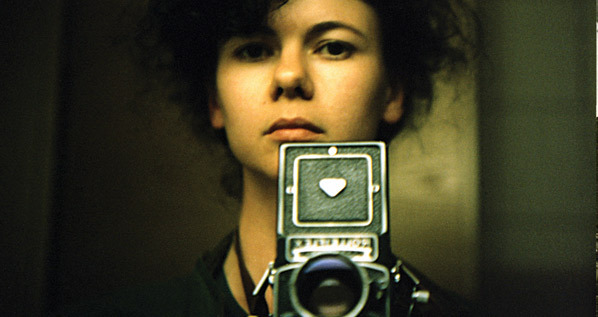 In 1988, in an attempt to overcome personal problems, Cristina Nuñez began to take self-portraits in private. Giving shape to her emotions and revealing her presence to the world, enabling her to turn an uncompromising gaze upon herself, but also to project herself as she wanted to be, these images became a form of self-therapy through which she learned who she is. Someone to Love (1988–2011) brings together for the first time all of the self-portraits that she made; The Self-Portrait Experience shares with viewers her method of interior exploration. These two paths, through which Nuñez states that, “The existing separation between art and therapy is intolerable,” now form the focus of her art. The artist wishes to thank the Consell Nacional de la Cultura i de les Arts for their generous support as well as The Private Space (Barcelona) for their commitment to this project. The exhibition Someone To Love will travel from Montreal to The Private Space Gallery Barcelona in November 2012. Born in 1962 in Figueras in Spain, Cristina Nuñez lives and works in Barcelona. Up to the early 2000s, she produced photography books in which she addressed social questions through the portrait: Body and Soul (1994), To Hell and Back (1995), Heaven on Earth (1998), Io sono/I am (2000). On the margins of this public body of work, she made self-portraits as a form of therapy; since 2005, this has been the focus of her photographic work, as well as of The Self-Portrait Experience workshops that she has been conducting. Her works have been presented at the Palazzo Vecchio in Florence (1997), the Rencontres d’Arles (1998), the Centre national de l’audiovisuel in Luxembourg (2008), the Fabbrica del Vapore in Milan (2008), Festival FotoGrafia, in Rome (2009), and the Private Space Gallery in Barcelona (2010). In 2010 she was a finalist (receiving an honourable mention) for the New York Photo Festival Awards. In 2011, she was showing her works in Second Lives. Jeux masqués et autres Je at Casino Luxembourg, as part of the Mois Européen de la Photographie.